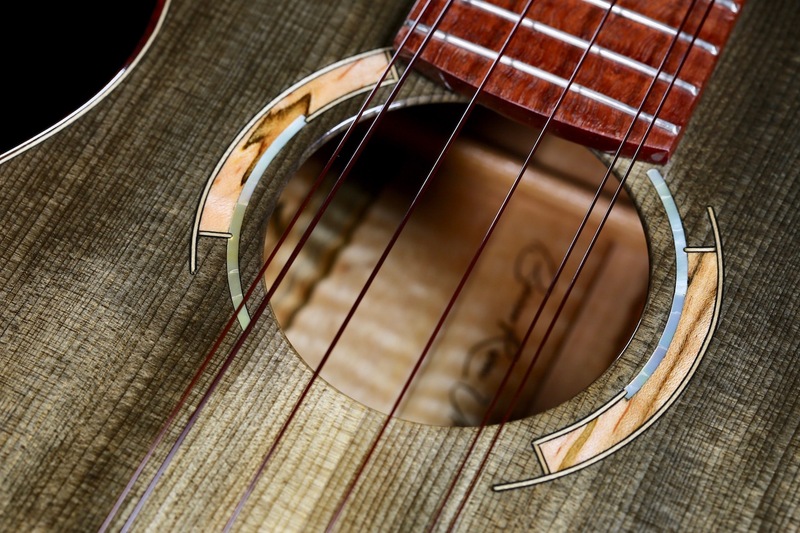 (C.2018). 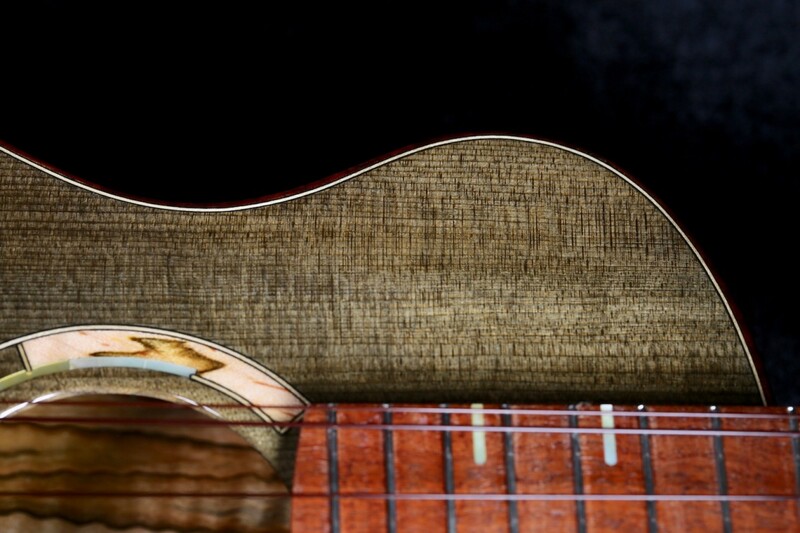 Preowned. 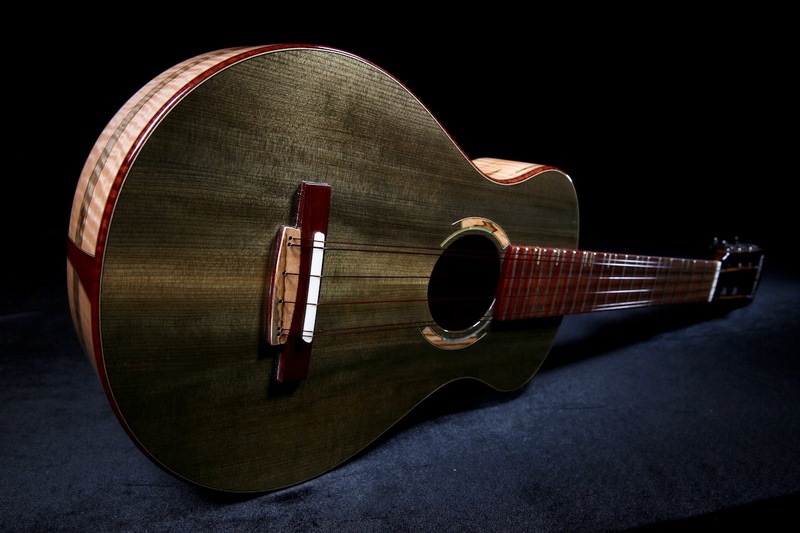 Custom Barron River 6-String Tenor Ukulele handcrafted by Allen McFarlen of Cairns, Australia. 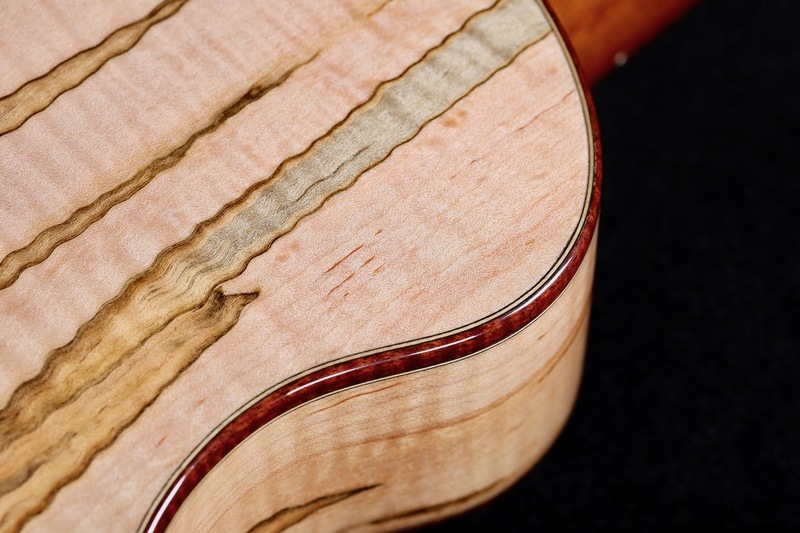 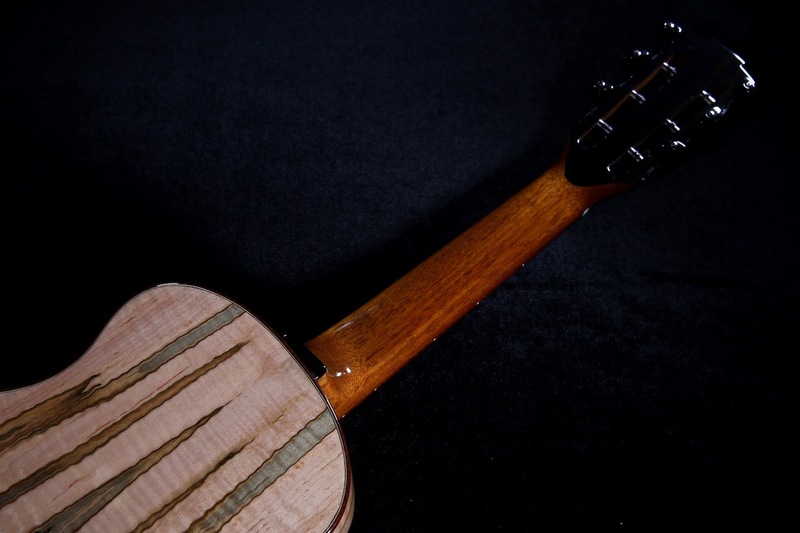 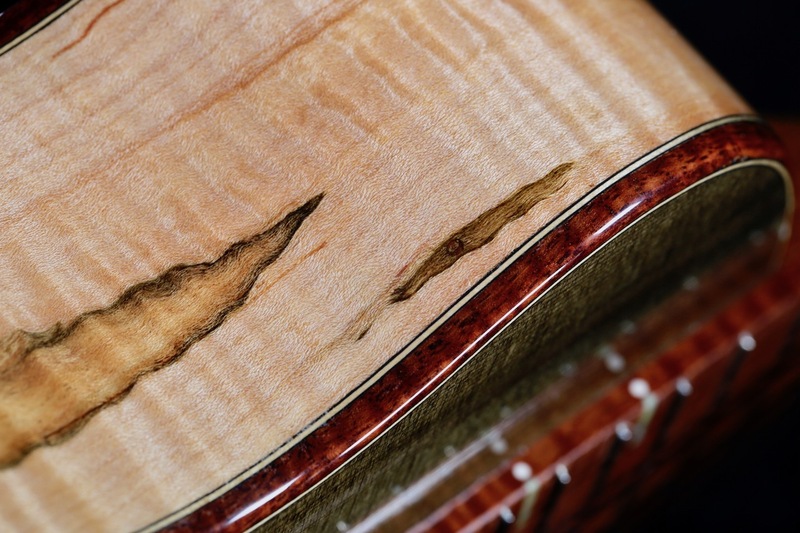 An incredible piece from one of Australia’s most foremost luthiers of custom ukuleles. 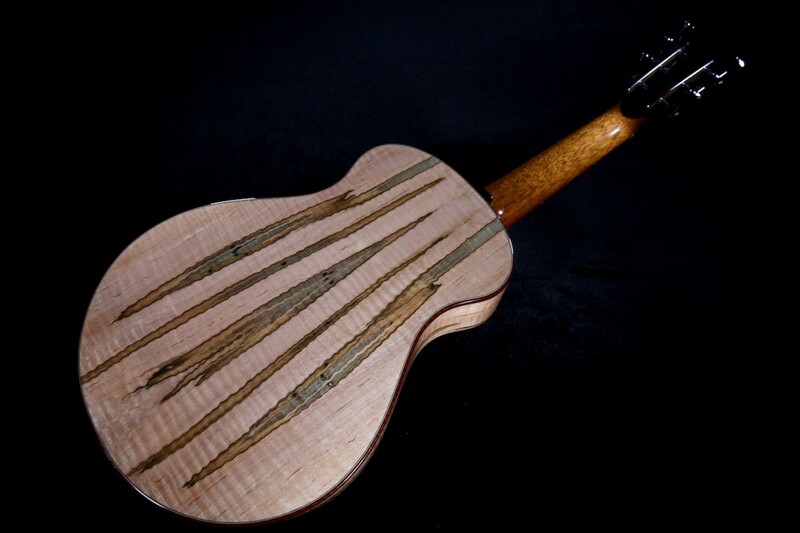 Allen McFarlen handcrafts only a limited number of instruments and these instruments are rather difficult to come by, even in Australia. 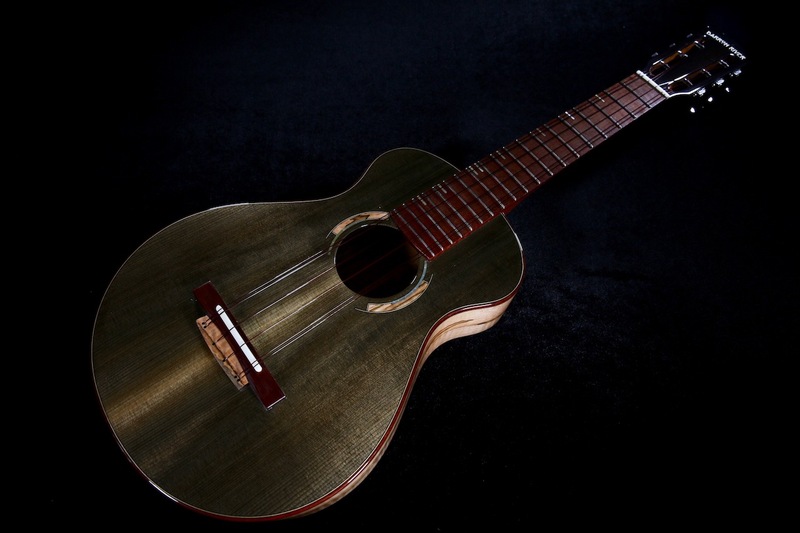 This Custom Barron River Tenor Ukulele comes complete with several upgrades in woods; premium Ambrosia Maple wood back and sides with a 3000 year old Sitka spruce soundboard. 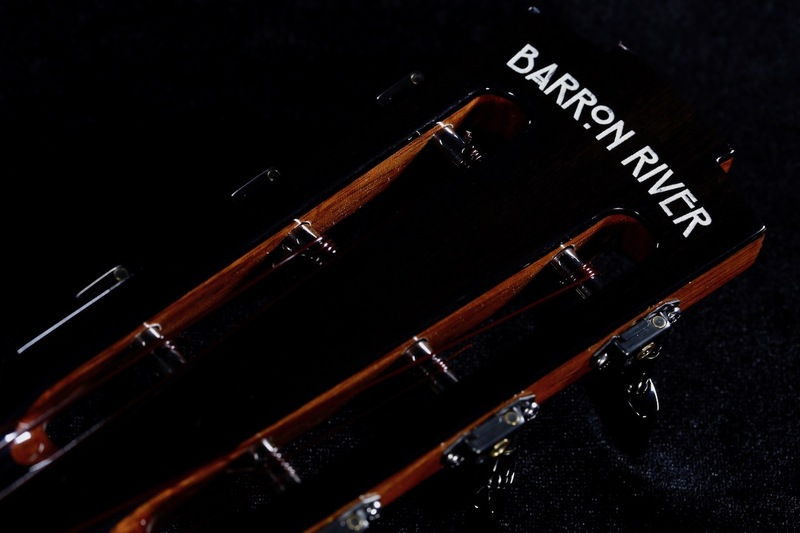 Gabon Ebony wood headstock top and back veneer with ‘Barron River’ logo inlay. 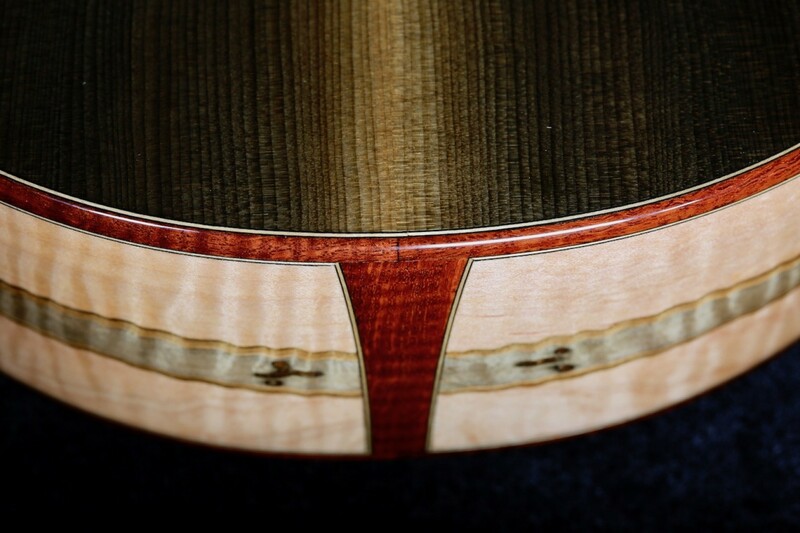 Offset style position markers inlaid on positions 3, 5, 7, 10, 12, 15, and 17 with a 12 fret joint to the body and 19 overall frets to the sound hole. 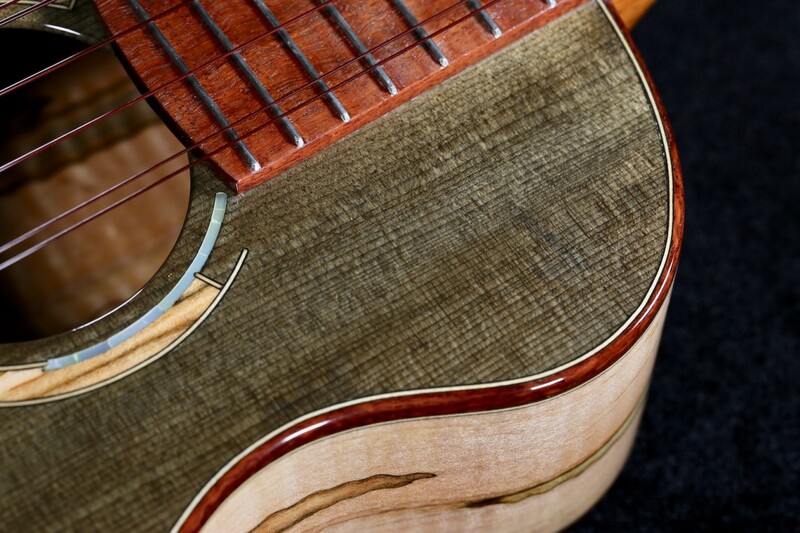 Radius fingerboard for added comfort in the higher positions on the neck. 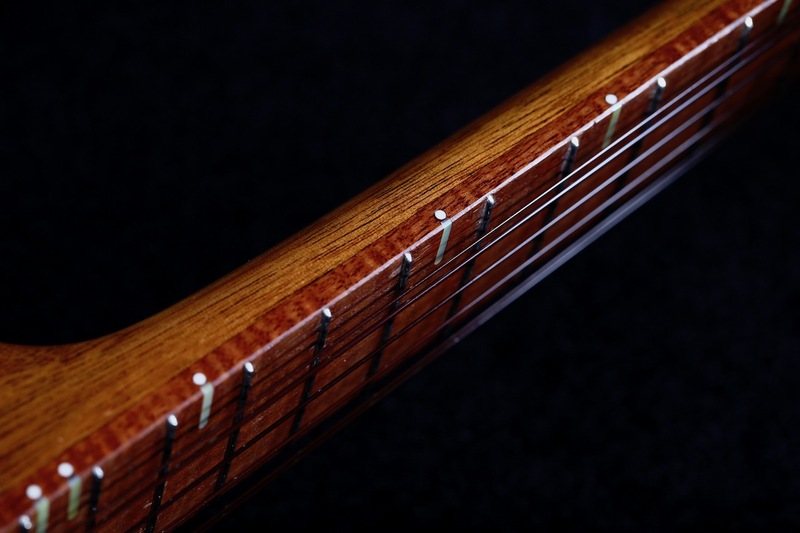 Curly Jarrah wood fretboard and Honduran Rosewood bridge with Ambrosia Maple veneer. 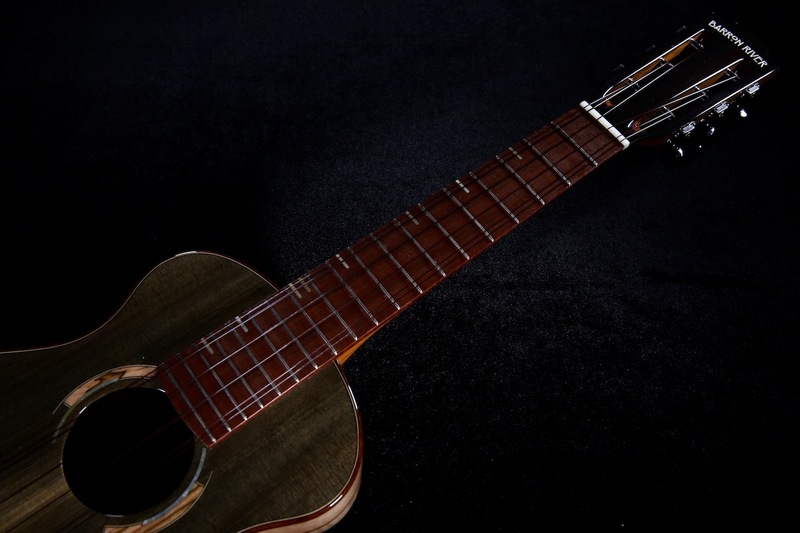 Brazilian Mahogany wood neck. 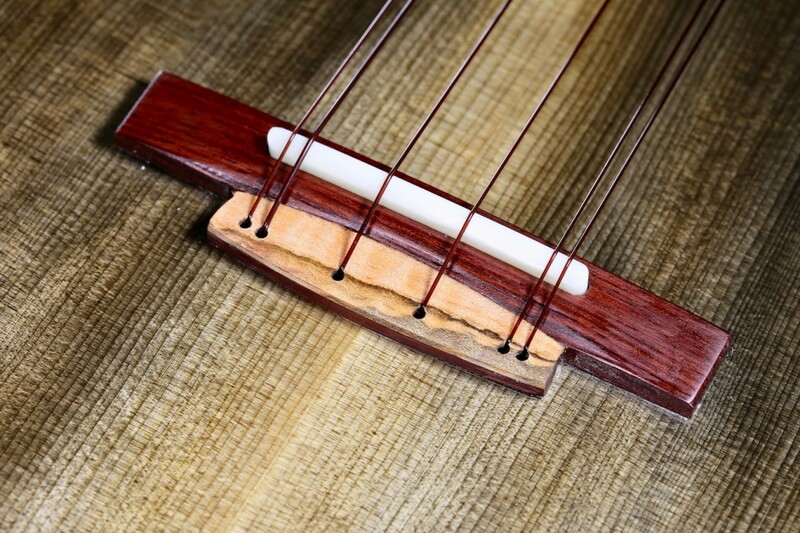 Matching curly Jarrah wood top and back binding for aesthetic appeal. 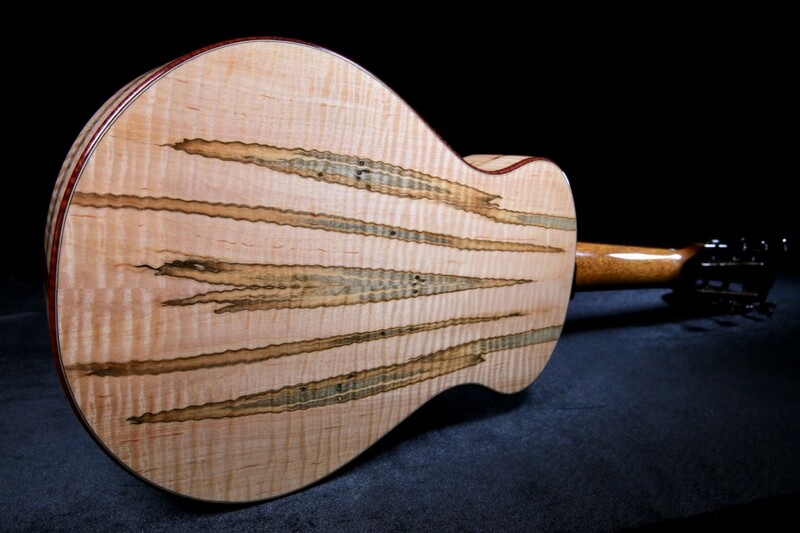 Ambrosia Maple wood and gold mother-of-pearl rosette inlay. 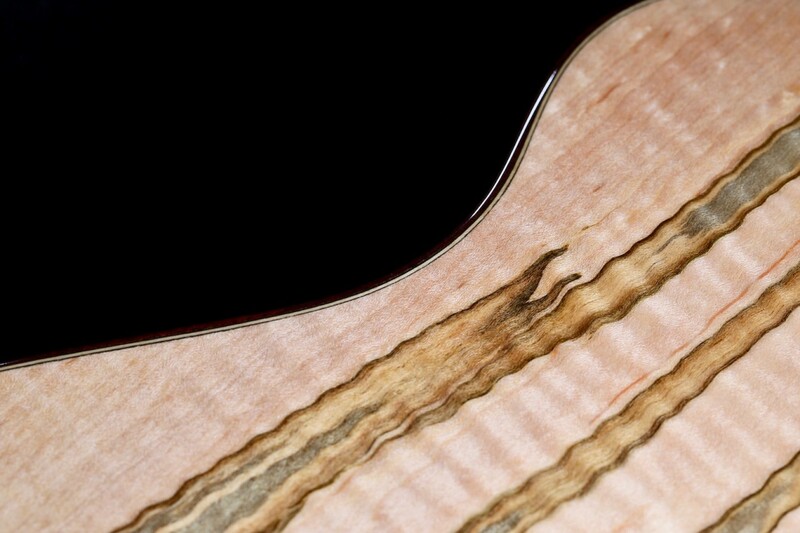 Finished with a beautiful polyurethane finish. 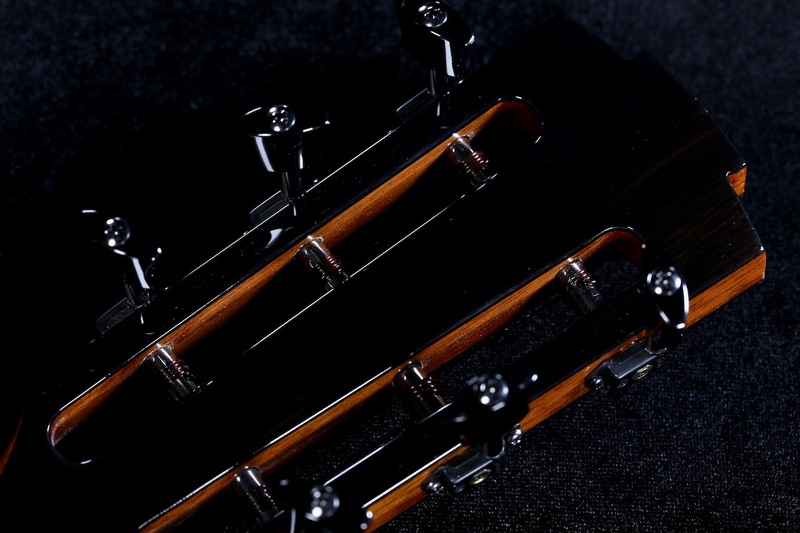 Upgrade to premium Stealth tuners for smooth and precise tuning with a slotted headstock design.